This is a continuation of "Images in Felt - Part 1", needle felting. There will be an introduction about the different shapes and gauges of needles and how to use them. 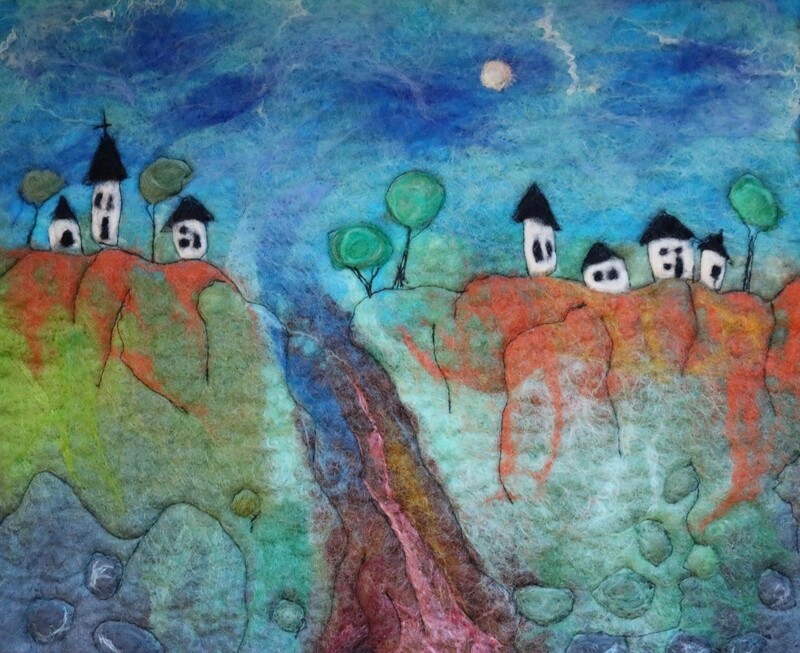 You will learn how to add texture, shadowing and dimension, even a little sparkle if desired to your felted piece that was created in "Images in Felt - Part 1". All materials and tools will be supplied. Be sure to bring your dried felted piece with you. 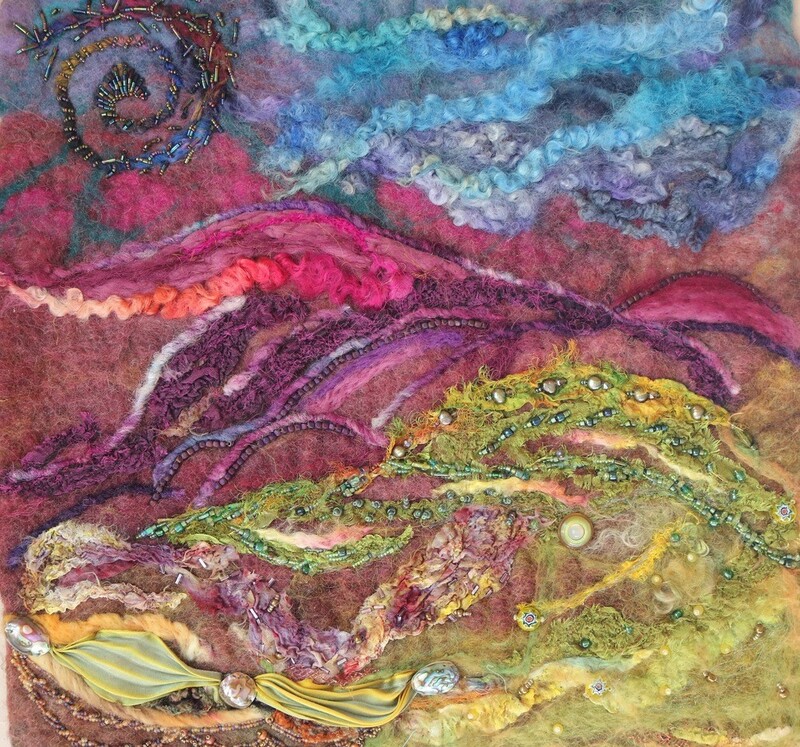 Be sure to bring your dried felted piece with you. If you are local, you can bring your sewing machine to avoid sharing.